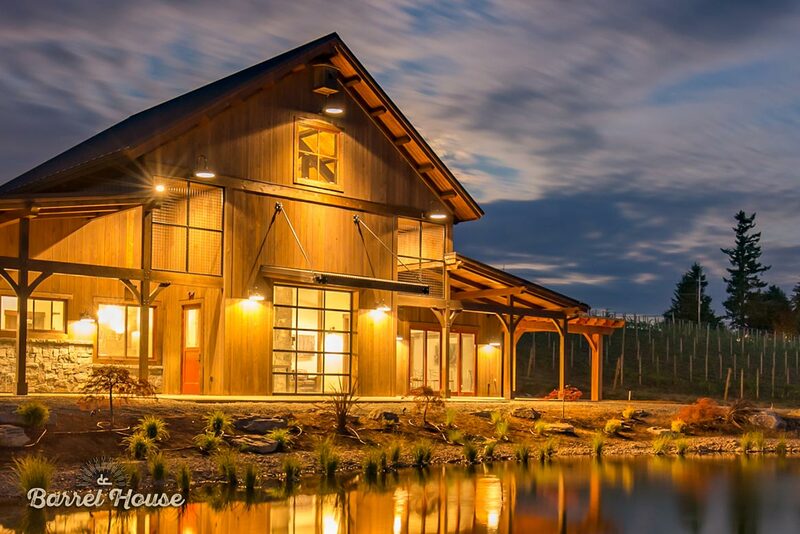 We’re proud to present this handcrafted timber frame structure, made by local artisans from fine Pacific Northwest lumber, as the centerpiece of the 2016 NW Natural Street of Dreams. 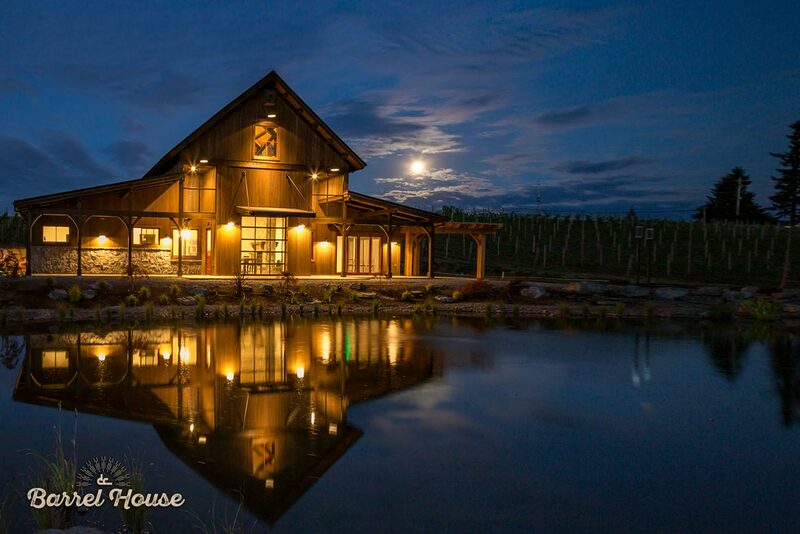 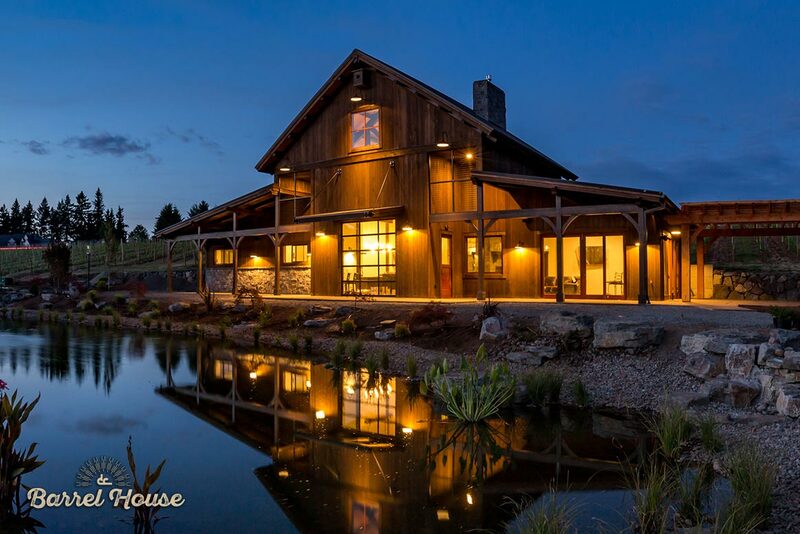 Before you tour the five beautiful homes at the 2016 NW Natural Street of Dreams, stop by the Barrel House, a celebration of heavy timber framing techniques and Northwest materials. 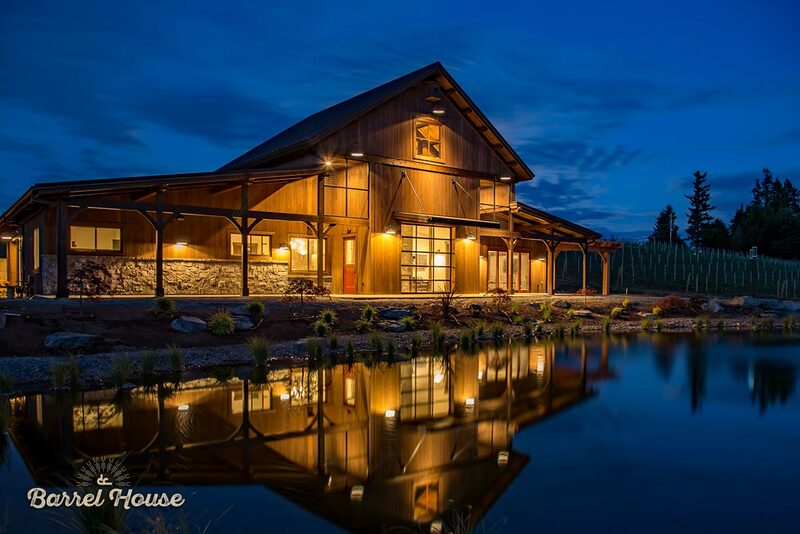 DC BUILDERS PRESENTS THE BARREL HOUSE AT THE 2016 NW NATURAL STREET OF DREAMS. 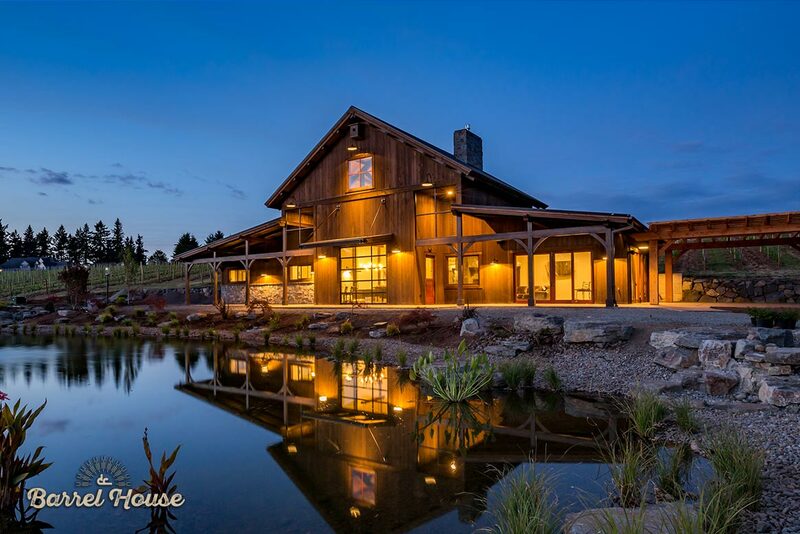 This beautiful development in West Linn, Oregon was a natural choice for the Portland area’s finest custom home event in recent memory. 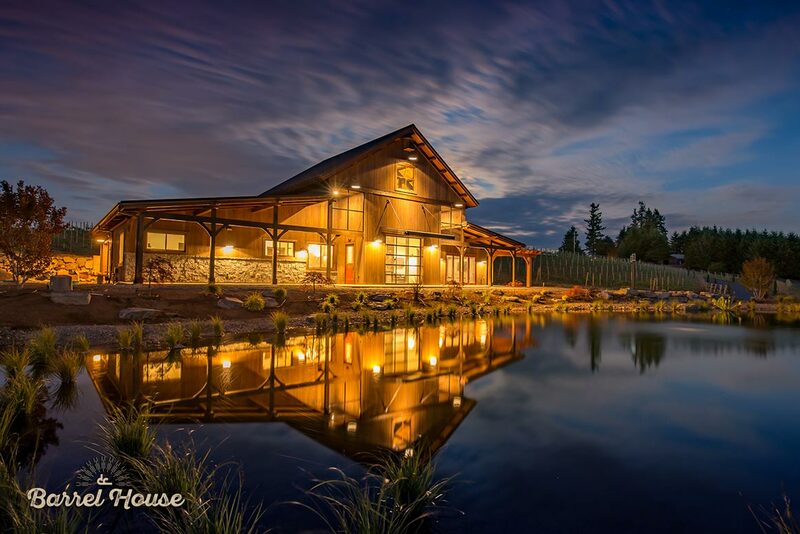 With prime views of the Cascade Mountains, these 5,000 to 8,000 square foot homes are truly one-of-a-kind. 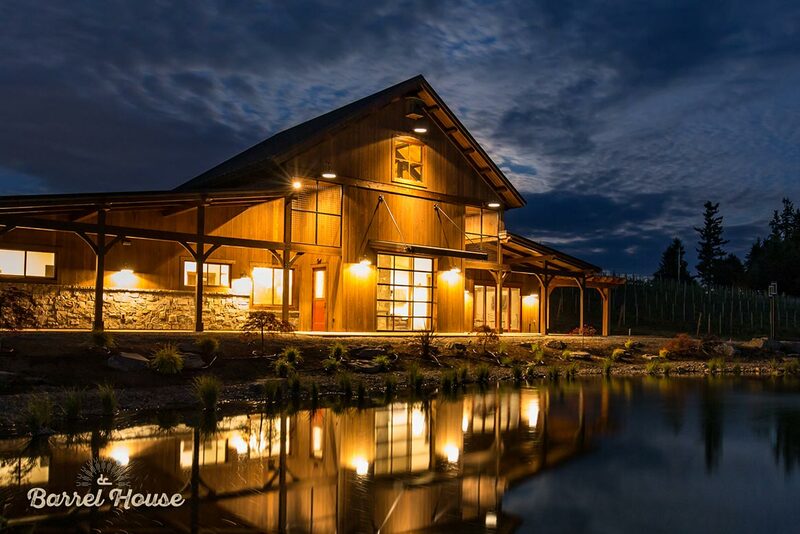 The 3,588 sq. 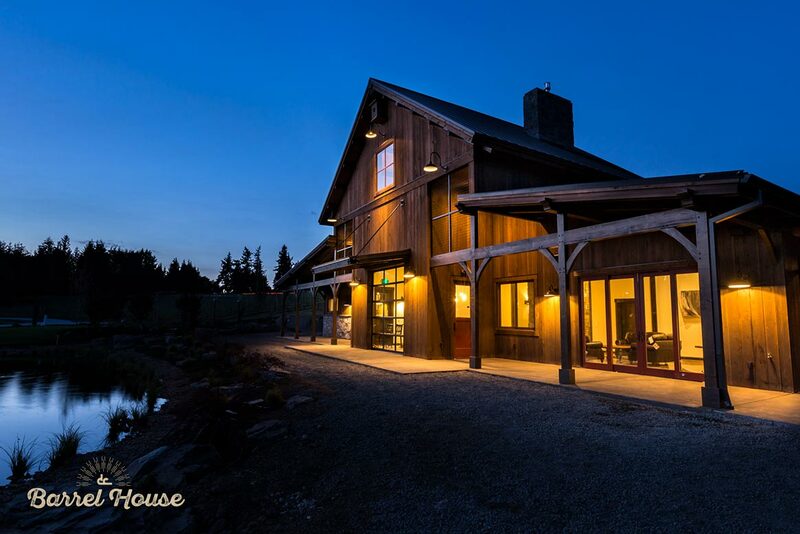 ft. Barrel House will be the centerpiece of the Tumwater at Pete’s Mountain development. 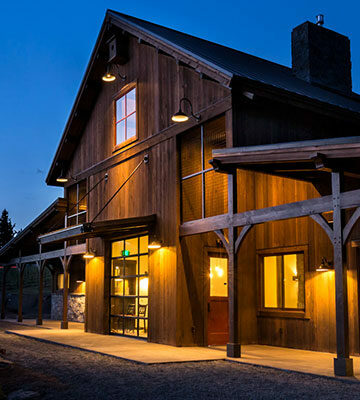 The timeless post and beam structure will serve as the gateway to the NW Natural Street of Dreams and as a tasting room for the Tumwater Reserve vineyard. 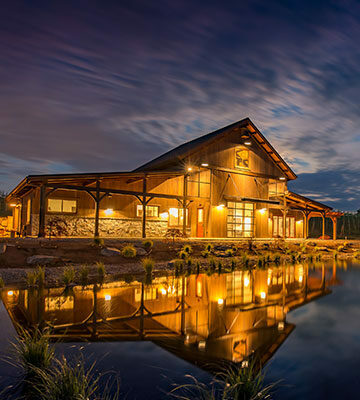 Several teams came together to assemble this unique project, from the design/build experts at DC Builders to the mortise-and-tenon timber framing artisans at Framework Plus. 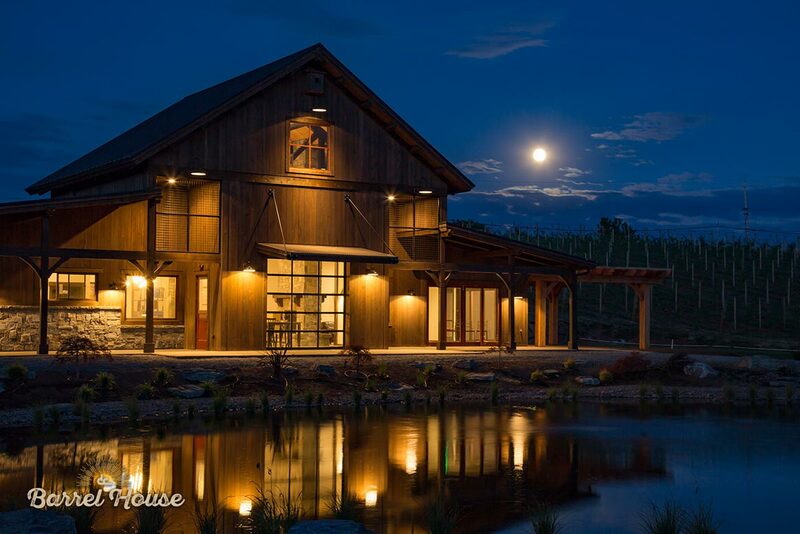 Design specialists from DC Builders will be available for custom design and construction consultations and tours of the Barrel House seven days a week from July 30 to August 28. 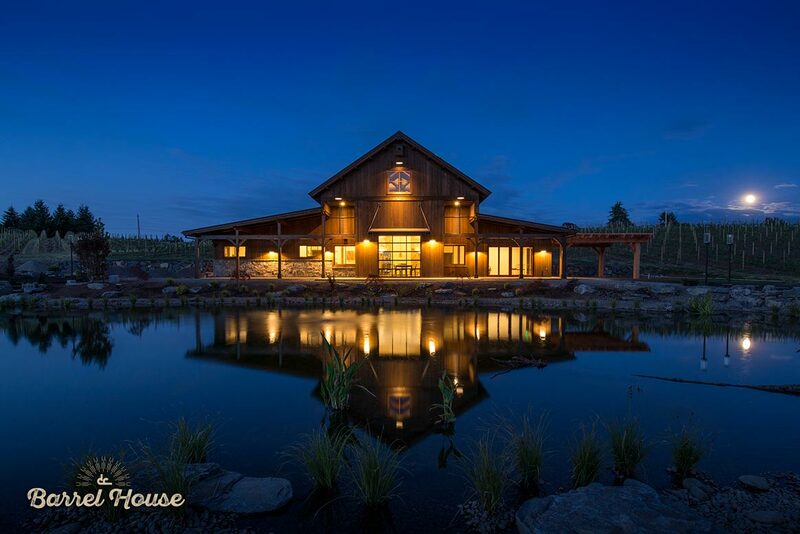 In just a few short months, this one-of-a-kind timber frame tasting room, barrel house, and community center has taken shape before our eyes.